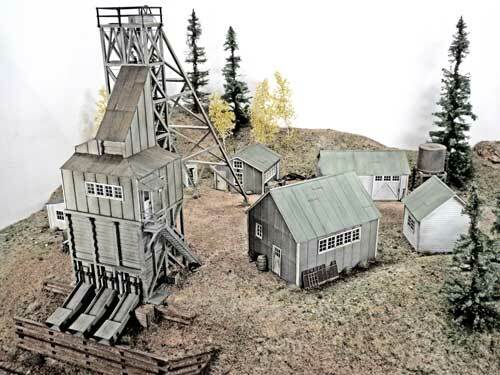 The Maude Monroe Mine (Idaho Springs, Colorado) was surrounded by many small "support" structures. 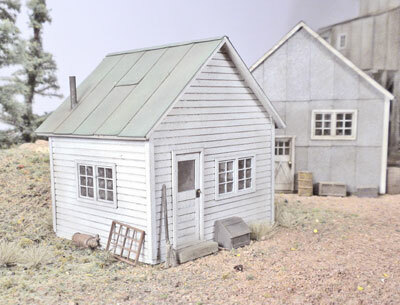 We've created kits for a number of these and currently offer them in two sets. 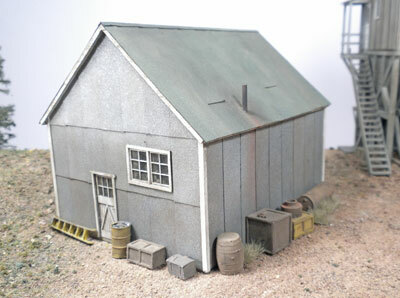 The small buildings look great with our mine kit, but are very generic and can be used with other mines and numerous industries. 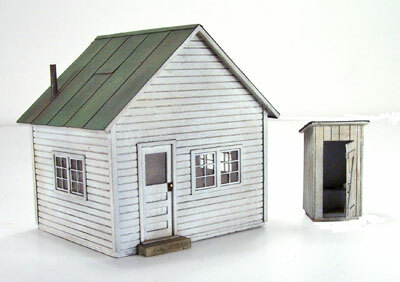 Set 1 includes the Change House and Carpenters Shop. 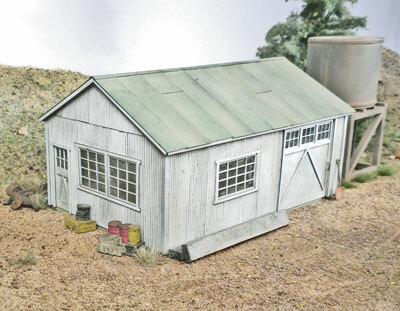 Set 2 includes the Office, Outhouse, Compressor Building, and Water Tank. 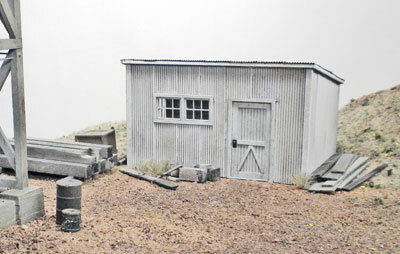 Following the practice of the prototype, the Change House has tar paper (silver) walls and a tar paper roof. 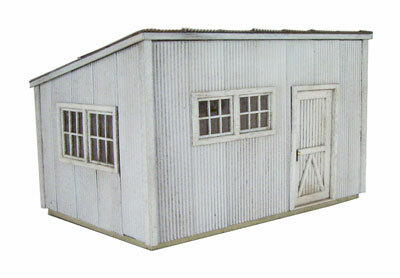 The Carpenters Shop has corrugated metal covering the walls and roof. Set 1 can be ordered at the bottom of this page, or on our Home page. More photos follow below. 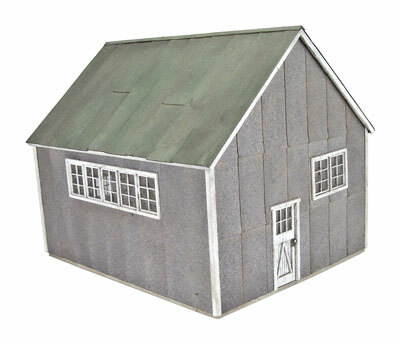 The Office is drop siding (scribed, really) with a tar paper roof. The Compressor Building is clad in corrugated metal and the roof is tar paper. 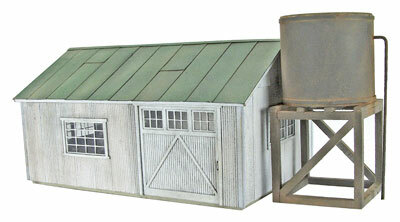 The Water Tank sets atop a timber frame and stands 3-inches tall. Set 2 can be ordered at the bottom of this page or on our Home page. More photos follow.